Is your child's school bus running today? Check your school board to learn if snow, sleet or other bad weather has led to transportation cancellations in your area. 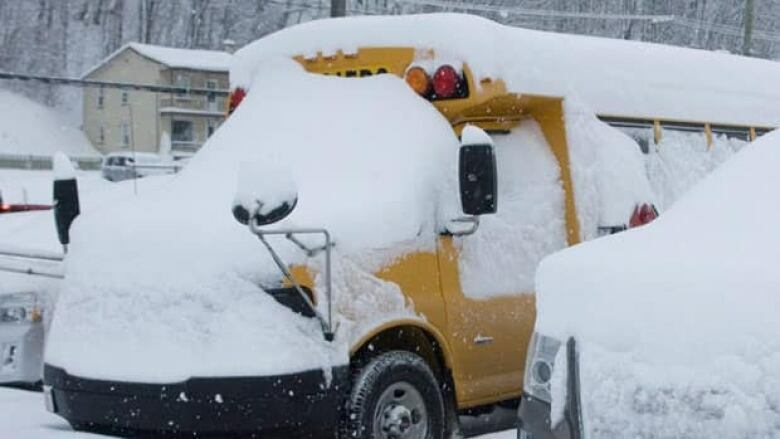 Is your child's school bus running today? Check your school board in the live blog below to learn if snow, sleet or other bad weather has led to transportation cancellations in your area. The following live blog compiles tweets from the Ottawa Student Transportation Authority (OSTA), Student Transportation of Eastern Ontario (STEO) and Western Quebec School Board. On mobile?Follow the blog here. Is your child's school bus running today? Click on the links that match your school board to learn if snow, sleet or other bad weather has led to transportation cancellations in your area. Student transportation for the Ottawa-Carleton District School Board (OCDSB) and the Ottawa Catholic School Board (OCSB) are served by the Ottawa Student Transportation Authority (OSTA). Website: The OSTA website allows parents to check their child's school bus each day. Check online starting at 6:15 a.m., when the daily information is loaded. You can also find all delays and cancellations here. Twitter: OSTA's Twitter account, @OttSchoolBus, has been active since December 2015. Check the links directly above for the latest information. Student transportation for the Conseil des écoles publiques de l'Est de l'Ontario (CEPEO) is served by two providers: Consortium de transport scolaire d'Ottawa (CTSO) and Consortium de transport scolaire de l'Est. Website: The CTSO website lists its cancellations every day, and you can subscribe to the listing on the page. The Consortium de transport scolaire de l'Est website lists its cancellations each day as well. Facebook: Follow the CEPEO Facebook group for the latest notifications. Student transportation for the Conseil des écoles catholiques de langue française du Centre-Est (CECCE) is served by Consortium de transport scolaire d'Ottawa (CTSO). Website: The CTSO website lists its cancellations every day, and you can subscribe to the listing on the page. Student transportation for the Upper Canada District School Board (UCDSB) and the Catholic District School Board of Eastern Ontario (CDSBEO) are served by Student Transportation of Eastern Ontario (STEO). Widget: Have a look at the following STEO widget. If there are any delays or cancellations, it'll turn red and ask you to click on it for more information. Website: The STEO website also lists its cancellations every day. Check online starting at 6:15 a.m., when the daily information is loaded. Twitter: Follow STEO's Twitter account, @STEO_news. Ottawa Valley: The Renfrew County Joint Transportation Consortium serves both public and Catholic schools. It updates the bus status daily as early as 5:30 a.m. and updates every six minutes. The Western Quebec School Board handles student transportation itself. Twitter: Follow the board's Twitter account for cancellations, @WQSB_Inclement. Student transportation at Commission scolaire des Draveurs is served by four providers: Autobus Campeau, J E Bigras Transport, Autobus des Collines and Transport Perron. Of the four, only one has a website. Website: The Autobus Campeau website lists its delays and cancellations. The school board website also updates its main news page with delays and cancellations.